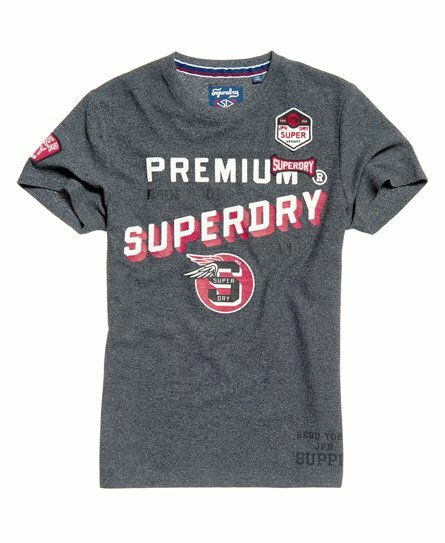 Superdry men’s Authentic supply t-shirt. A classic short sleeve, crew neck t-shirt, perfect for this season’s wardrobe, featuring a large graphic print on the front with a cracked finish as well as a badge near the hem with a smaller, faded graphic for an authentic look. This t-shirt is finished with badges on the sleeve.